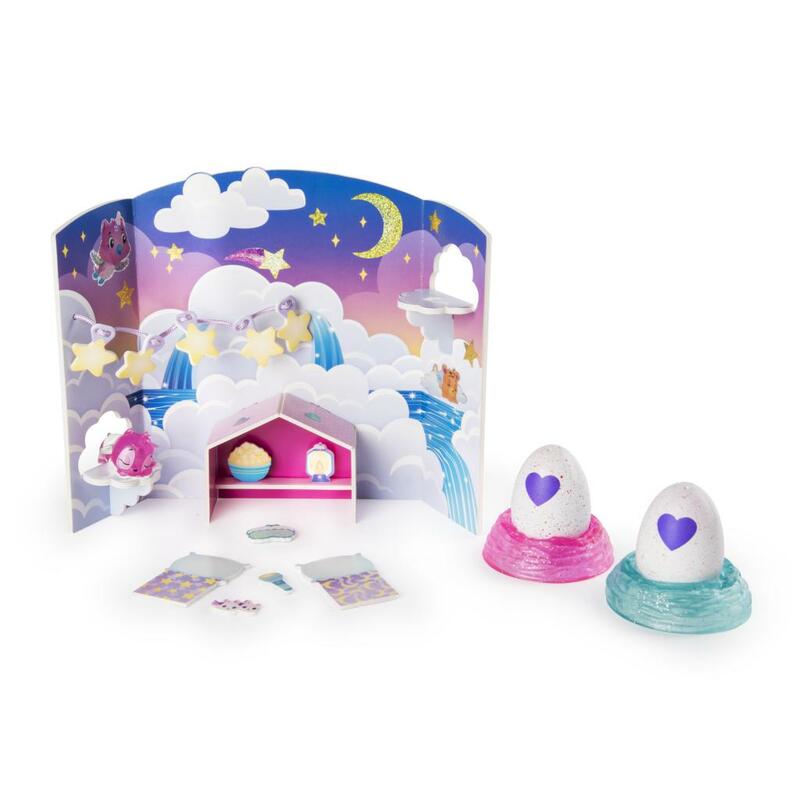 Craft a scene from Cloud Cove with the Hatchy Hangouts Papercraft Playset! Using the colorful paper pieces, you can create a cozy slumber party for three exclusive characters (included!) Printed on both front and back, this 3-D scene features cloud seats, papercraft decorations and a cozy nook – perfect for 360-degree play! 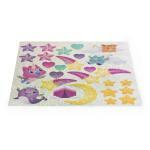 Once you’ve created a snuggly sleepover scene, use the sparkly sticker sheet to decorate! Now you can hatch your new friends! 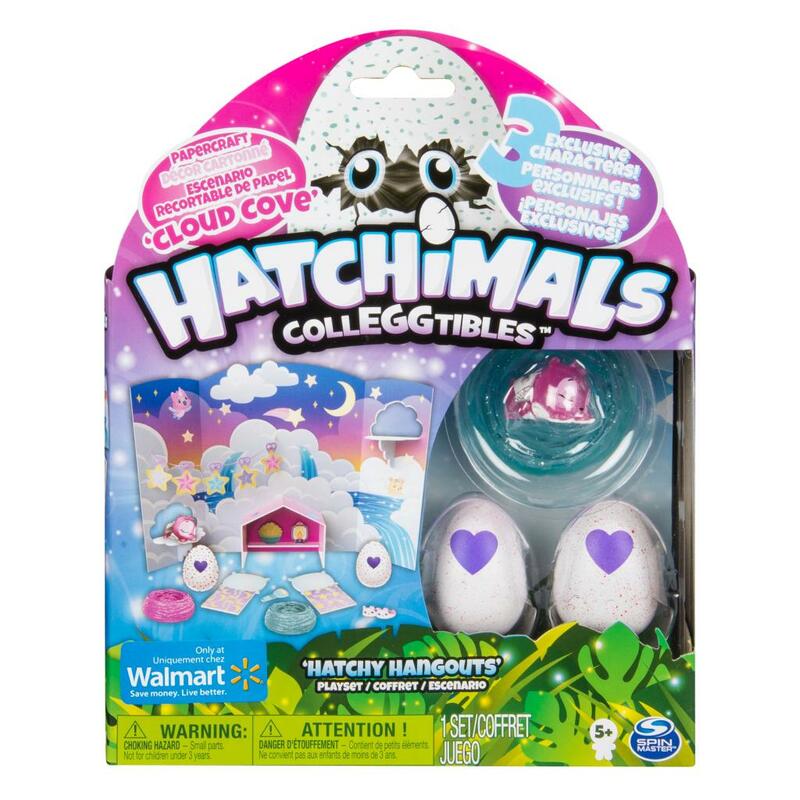 This playset comes with three exclusive characters: two in-egg and one out-of-egg! 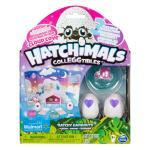 To hatch your new friends, use your love and care to warm each egg until the purple heart turns pink. Press down to crack the shell and see who’s inside! 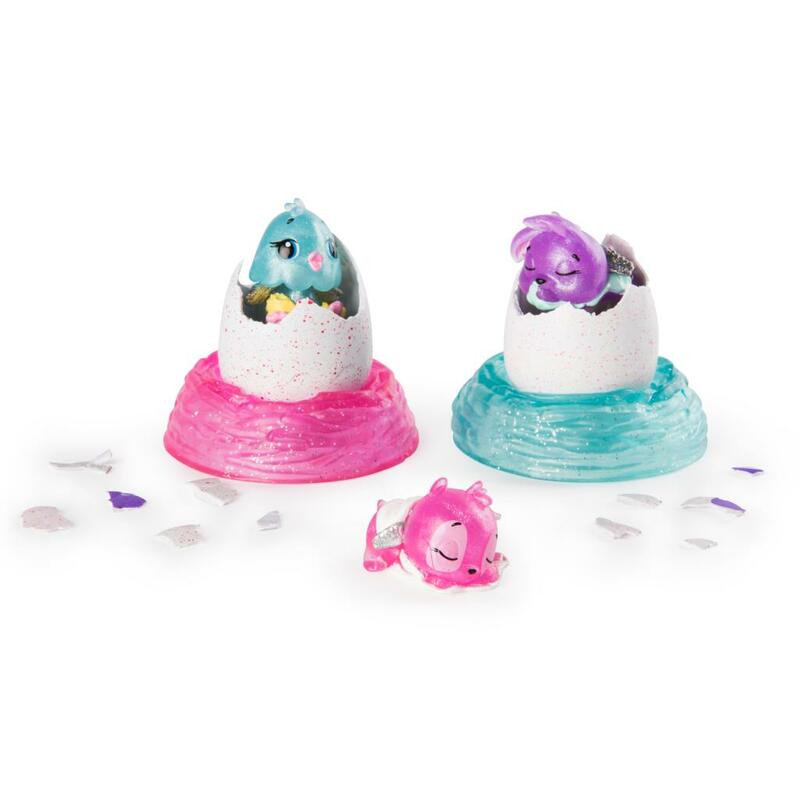 Once you’ve met your new Hatchimals, use the two glitter-flecked nests (included) to keep them cozy! Ready to get snuggly? 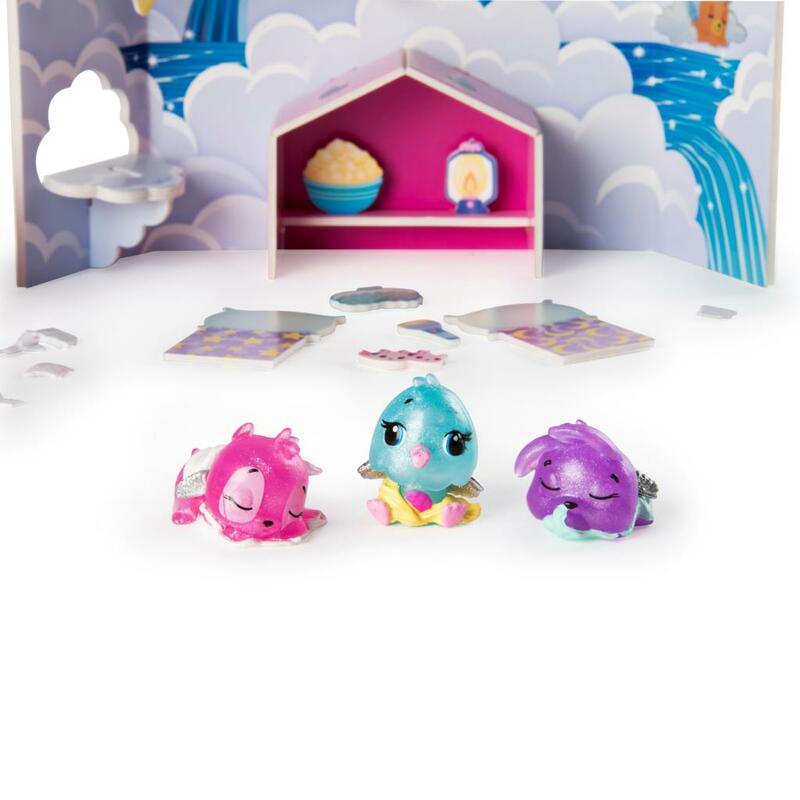 Tuck in for a slumber party with the Cloud Cove Hatchy Hangouts Playset! 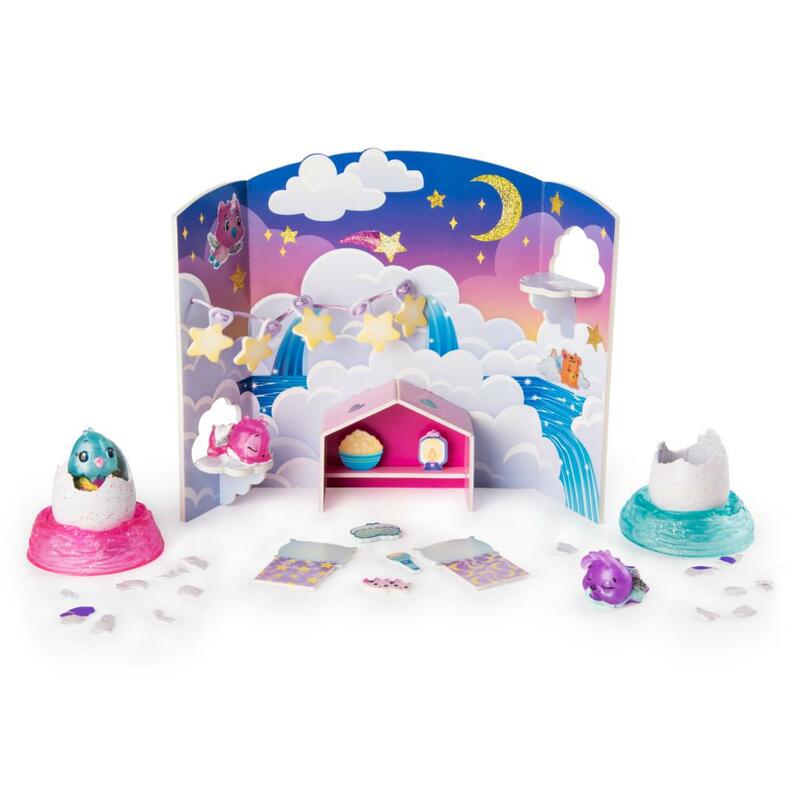 CRAFT A MAGICAL PLAYSET: Create a scene from Cloud Cove with this papercraft playset! 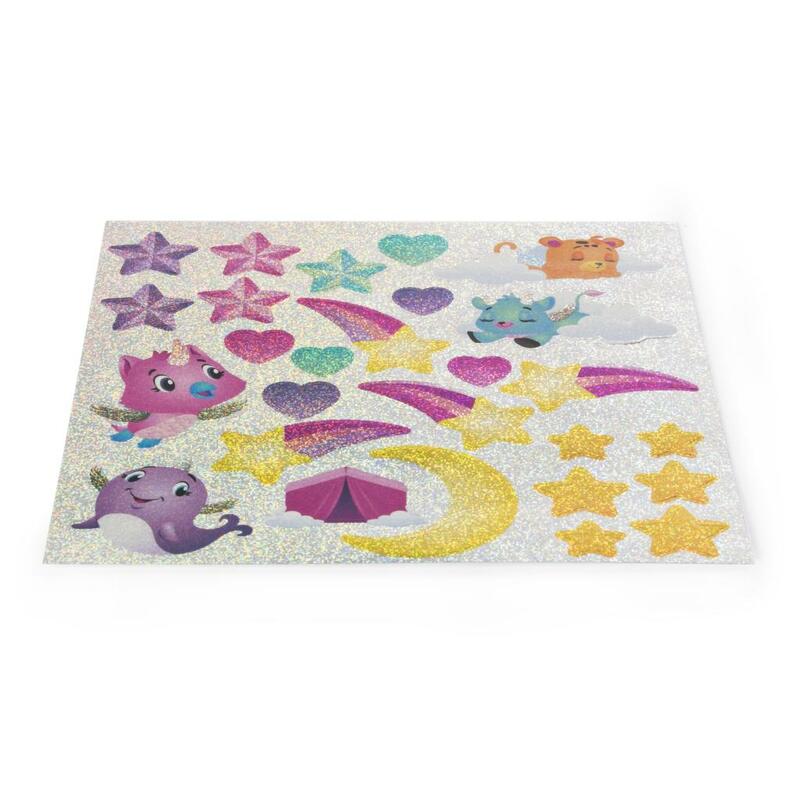 Simply assemble the pieces to create a magical 3-D scene! Printed on both sides, you can experience 360-degree play! COLLECT 3 EXCLUSIVE CHARACTERS: Three new characters can only be found in this playset! 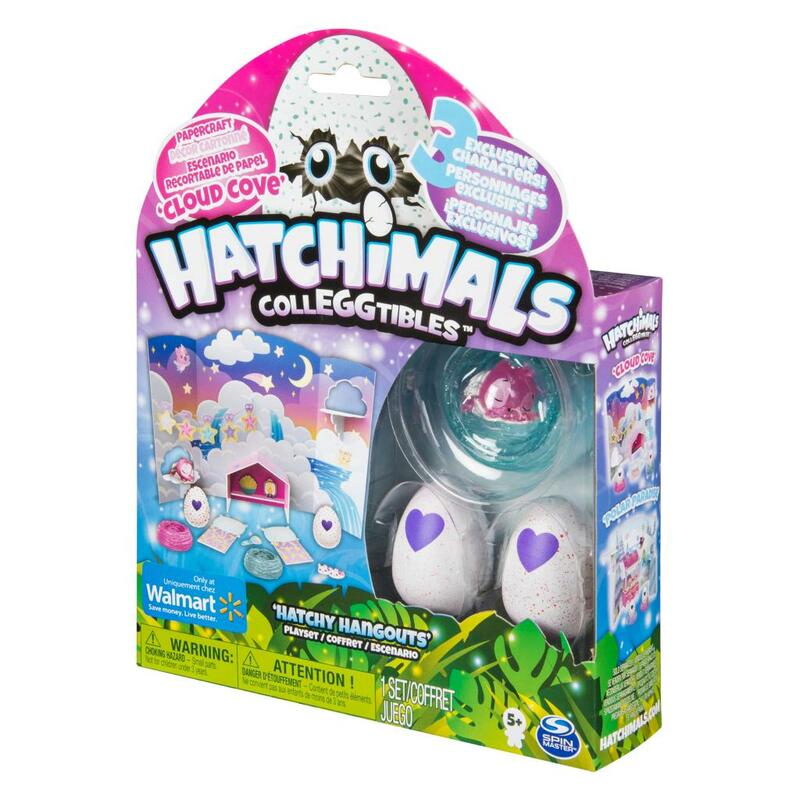 With two in-egg and one out-of-egg, you can use your love and care to hatch and discover brand new cuties! TWO GLITTER NESTS: Keep your Hatchimals comfy and cozy inside the two nests included in this playset. Flecked with glitter, these nests are the most magical way to display your adorable friends! 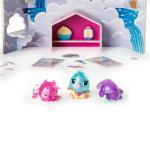 Cloud Cove Hatchy Hangouts Papercraft Playset is a great gift for kids aged 5+. Combine with the Cloud Cove Hatchy Hangouts playset and build out the world of Hatchtopia!